NHS 24 is a Special Health Board providing and facilitating the development of national telehealth and telecare services across Scotland. 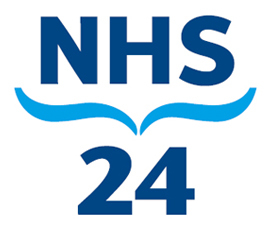 The Scottish Centre for Telehealth and Telecare (SCTT) is part of NHS 24, and has been established to provide practical support and advice to Health Boards, Local Authorities and other key stakeholders across Scotland. NHS 24/SCTT act on behalf of the Scottish government to represent Scotland in Europe in digital health and care. The University of Edinburgh, School of Informatics contributes 10% of the UK’s world-leading research in Computer Science and Informatics. It delivers more internationally-excellent or world-leading research than any other UK University. In the last UK Research Assessment Exercise it led the tables in terms of numbers of world-leading and internationally competitive researchers by a substantial margin. The University of Edinburgh also supports one of the UK’s most thriving technology transfer organisations which provides dedicated support for commercialisation, entrepreneurialism and technology transfer. Kronikgune (Kronikgune Asociación Centro de Excelencia Internacional en Investigación sobre Cronicidad) is the research centre created by the Department of Health and Consumers Affairs of the Basque Country (Spain) as part of the regional Strategy to tackle the challenge of chronicity in this region. It is one of the specialised regional entities in the design, implementation and assessment of the regional policies and strategies in chronic care. Kronikgune is an international excellence centre in research on chronicity, entrusted with institutional representation on international projects and actions aimed at developing products and services and their deployment for the whole Basque population (2.2 mio inhabitants). 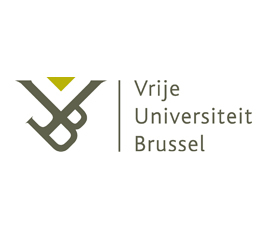 Vrije Universiteit Brussel (VUB) is one of the leading universities in Belgium. The Faculty of Medicine and Pharmacy offers a broad range of health sciences undergraduate programs and several post-graduate courses. Researchers conduct high standing research in the domains of chronic care, integrated care, end-of-life care, diabetes, medical imaging, neurology and public health and have a widespread network offering collaboration with several universities in Belgium, Europe and other continents. The Department of Family Medicine (HUIS), established in 1986, runs research on chronic and integrated care, cardiovascular prevention, diagnostic testing, chronic obstructive pulmonary disease, stroke and access to healthcare and end-of-life care. 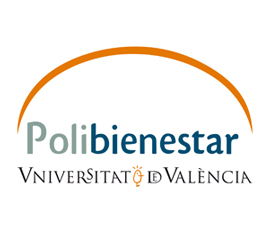 Polibienestar is a Public Research Institute belonging to the University of Valencia. It consists of an interdisciplinary team with 24 senior and 18 junior researchers with national and European experience in health and social policies combining researchers from various disciplines such as medicine, psychology, economics, sociology, social work, political science and law among others. This allows to carry out interdisciplinary research, innovation and social technology, technical advice and training in the field of public policies and assessment. Polibienestar also advises the Administration and private entities in the design, planning and implementation of health and social policies and services. The Basque Country (Euskadi) has a universal health insurance system which is financed through general taxes. The public healthcare provider is Servicio Vasco de Salud-Osakidetza. All the public hospitals and primary care centers of the Basque Region are under this governmental organization. The Basque Health System (Osakidetza) has a target population of more than 2 million inhabitants. Currently, aging and chronic conditions account for 80-% of the medical consultation in the Basque Country taking 75% of the total health budget. Aress Puglia (Agenzia Regionale per la Salute ed il Sociale Puglia) is the technical support of the Regional Government’s Healthcare Department. Together with Health Districts and Hospital Trusts it is responsible for organizing health and social care services of the entire region in order to guarantee the adequate delivery of services. 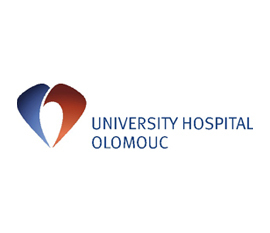 The University Hospital Olomouc (Fakultni Nemocnice Olomouc – FNOL) is a major regional hospital providing general and specialised healthcare services. They are, in particular, focusing on telemonitoring of patients with advanced failure or heart infarct. The aim is to improve the health conditions of the target populations. FNOL is a Reference Site of the EIP on AHA and has been rewarded by EC for its excellence in innovation. The Region of Norrbotten (Region Norrbotten) is the main provider of health care, including primary health care in the county of Norrbotten with a population of about 240.000 inhabitants. The region also supports research and education and contributes to the development of Norrbotten, and works with culture, public transport and regional cooperation. EHTEL is an association that brings together a wide range of stakeholders crucial for the improvement of health and social care with health IT. EHTEL provides its 60+ corporate members with a platform for information, representation, networking and co-operation. With EHTELconnect (www.ehtelconnect.eu), the association draws on the expertise of EHTEL’s highly experienced and multi-stakeholder membership to offer expert advice and educational services to individuals and organisations working in the field of digital healthcare.